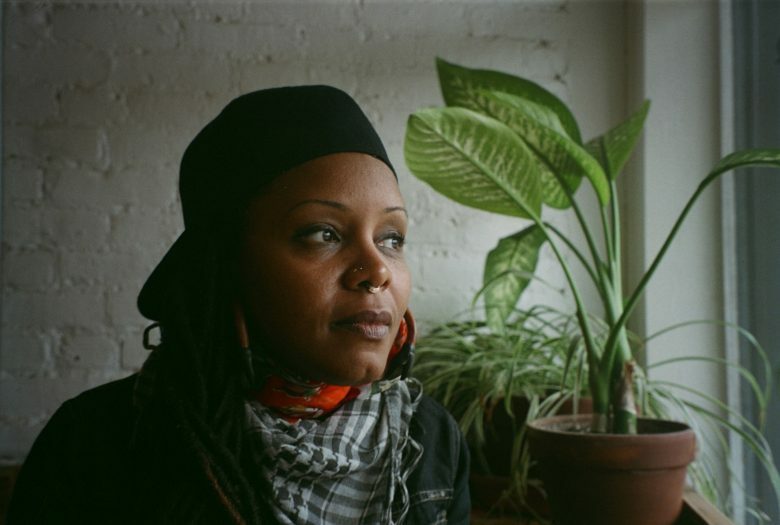 Matana Roberts is an internationally recognized, Chicago-born saxophonist and multidisciplinary sound conceptualist working in various mediums of performance inquiry. She has created alongside visionary experimentalists of this time period in various areas of improvisation, dance, poetry, visual art, theater; as a saxophonist, documented on various sound recordings as collaborator, side woman and leader. Her recent work focused on the place / problem of memory and tradition as recognized, deciphered, deconstructed, interrogated through radical modes of sound communication, alternative styles of musical notation, and multi-genres of improvisation. Roberts’ work has been exhibited at the Whitney Museum of American Art (NYC), Fridman Gallery (NYC), Museum of Contemporary Art (Chicago), and Museum of Contemporary Art (Detroit). She is well-known for her acclaimed Coin Coin project, a multi-chapter work of “panoramic sound quilting” that aims to expose the mystical roots and channel the intuitive spirit-raising traditions of American creative expression. Constellation Records began documenting the Coin Coin project in 2011 and has released the first three of a projected twelve album-length chapters to date.